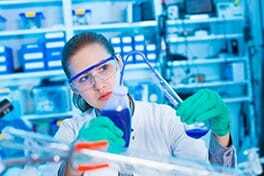 Home » Pharma Blog » What is a Process Technician? Process Technicians work in a process or continuous manufacturing environment and operate equipment, monitor the machinery and document results in strict adherence to protocols. Process Manufacturing uses a chemical reaction or blends ingredients continuously or in a batch into a final product which is usually a liquid, powder or gas. Process Technicians are involved in all stages of the manufacturing process in the pharmaceutical manufacturing industries, less so in medical device manufacturing. They often work within a clean-room environment. Let’s now take a closer look at the details of the role of a Process Technician. Process Technicians are involved at all stages of the manufacturing process, ensuring efficient ongoing production. The role requires individuals to follow strict internal protocols and Standard Operating Procedures (SOPs) as well as following current Good Manufacturing Practices (cGMP). There is a large amount of responsibility given to individuals within these roles. Any deviation from these practices or any mistake made could have serious repercussions, resulting in potentially unsafe defective products or expensive destruction of batches. 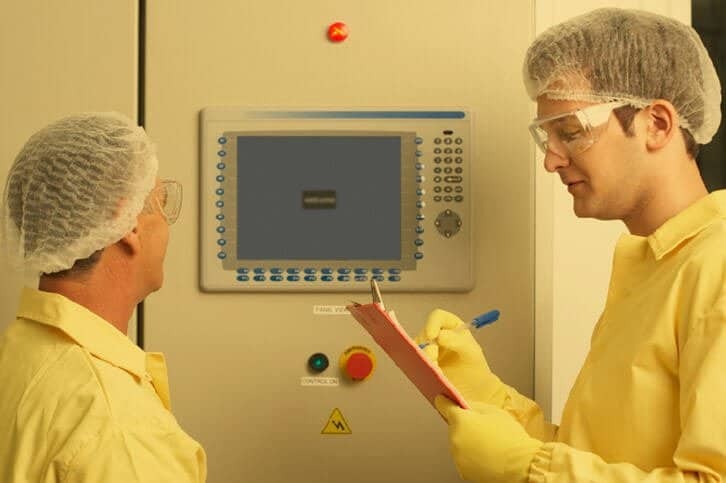 They often work within a cleanroom environment so personal protective gear (including masks, clothing, footwear, and gloves) is required. This is both for their own safety and to maintain the integrity of the product by avoiding contamination. A Process Technician will typically be responsible for a step in the manufacturing process. Their job is to know this process in great detail as they will be responsible for identifying when the process is deviating from the norm and taking action to correct it or involve senior members of staff if/when they are not able to correct the problem. They are also responsible for keeping any equipment in good working order – this involves regular inspection, cleaning, servicing and maintenance. A key feature of the role is to maintain accurate and clear documentation that proves that these processes are being carried out in accordance with both internal and external regulations. It is important that procedures are followed, but it is also important that it can be shown and proved that procedures were followed. A Process Technician may also be responsible for the gathering of data from their process and reporting it to senior staff members (typically a Process Engineer). In a discrete manufacturing plant, you typically find, assembly lines, U shaped assembly areas, machine tools, CNC machine centers, robots, welders, pick and place robots, injection moulding machines, packing machines, air-powered assembly tools, painting and finishing areas, etc. What Does a Process Technician Do? The specific duties of a Process Technician can change dramatically depending on which stage of the manufacturing process they are involved with. For a look at the role of a Process Technician as described by someone actually in the job, check out this video from the About Bioscience website, produced by the North Carolina Association for Biomedical Research (NCABR). Many people enter this type of role with a specialized qualification for their industry and the ability to show the relevant skills desired personality traits. Companies typically provide the training needed to complete the tasks specific to each job role as necessary. A BSc in a science related subject can be useful but is certainly not always necessary. Check out our salary guide for Process Technician salary information local to you. As with all resumes, it’s extremely important that you tailor your Process Technician resume to reflect the language used within the job advert. Where you have relevant experience or skills, use the words and phrases that the employer has used to describe them. Do not assume that someone will read similar wording and know what you mean. For more information on currently available Process Technician roles, head to our jobs boards and select Production/Manufacturing in the “Jobs by Category” menu. We currently have jobs boards for Ireland, the UK and Philadelphia, USA.